Please check this section for the latest announcements from SimplyDiscus. Please post your 'How Do I' posts regarding our forum software, suggestions, questions, and comments here. The forum's owner's messages, thoughts, suggestions, rants, etc. New to discus? Learn about the basics here. Discus questions, comments, and experiences that do not fit into the specific categories below. Please do not post items here if they are not discus-related. 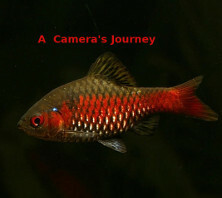 A 2 month contest that chronicles members tanks and fish keeping hobby. Cash Prizes will be awarded. See posted rules to enter. Forum for the Discus Grow Out Challenger Contest of 2018. Only one thread per challenger. Yes, it can be done! Read more about plants, setting up a biotope aquarium, and more here. Ecology, distribution, economics, and wild strains. "An ongoing catalogue of all the known discus strains. Not sure what you want as your next discus? Start here...."
A Complete Imaging Learning Center brought to you by Simply Discus. Want to share your Fish pics or videos ? Heres the place! Show off your Fish Pics and Vids here. Topics dealing with discus diet. Questions and information regarding water and water quality. Tips, tricks, and questions regarding breeding discus. Disease diagnosis/treatment and information on medications. All topics related to fish rooms, equipment, filters, tanks, generators and back-up power, and aquarium supplies can be found here. Trying Something Different? Experimenting? Thinking outside the" Tank" . This is the place to share and discuss things that Just aren't mainstream Discus Keeping. Find past contests and highlights here. Our members are the reason SimplyDiscus continues to grow and thrive over the years. Please introduce yourself if you're new to the community and get to know other discus enthusiasts here. This is a paid subscription section for hobbyists wanting their own sub-forum. Help support SimplyDiscus through a yearly subscription of $50. All forum rules apply. No commercial posts. Share information about local discus/aquarium clubs, societies, and meetings in your area. Not sure if there are any near you? Ask here! Dedicated To Discus Related merchandise that Benefits SimplyDiscus. Cool Logos, T-shirts,Special Offerings etc. You must be a SimplyDiscus Sponsor to post your commercial sales in this section. Contact brewmaster15@comcast.net or by Private Message to discuss sponsorship. With so many people receiving excellent stock lately, it's only a matter of time before hobbyists have discus for sale. Please post your home-grown discus for sale here. This section is for non-commercial use by Hobbyists. Any commercial posts will be removed immediately unless approved by Admin. Looking for a breeder in your area, specific equipment, food, etc.? Ask here and draw on the board's membership to find what you need. Discuss all of your non-discus freshwater fish here. Discuss your marine aquariums here. Please feel free to discuss any other pets, aquatic or otherwise, in this forum. Got a favorite recipe? Like talking cocktails and beverages? Gardening? Hobbies? This is where to go! Like the title says..Recipes! For you though not your fish! Like talking cocktails and beverages? Gardening? Hobbies? This is where to go! Off-topic discussions, jokes, and anything else you'd like to share with us! Views expressed by members are not necessarily those of SimplyDiscus, nor its administrators, moderators, and staff. Read at your own discretion. Most users ever online was 1,177, 05-12-2016 at 12:36 AM. Ooooooo Spooky! We've got Ghosts!